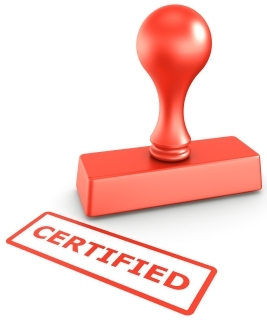 Salesforce.com Certification: it's for Marketers, too! Salesforce.com Certification: it’s for Marketers, too! As a Salesforce.com user group leader, I often talk to marketers who are looking to get more and/or better data out of their Salesforce.com system. They are seen as CRM champions who are responsible for making sure everything is running through the system properly, including tracking, the success of leads and making sure sales is entering good data so they can report on their campaign’s success. Some marketers work with their administrators to create fields which allow for better data capture or segmentation, while others are responsible to manage this all on their own. Because of this, many marketers have picked up Salesforce.com admin skills that are highly valued at their companies. These skills become even more useful as marketers create dashboards, provide monthly reporting, and create campaign influencer reports to show the value of their work via the CRM system Because of this, I am seeing job postings requesting Salesforce.com skills of marketers. This isn’t a surprise since Salesforce.com has over 55K customers – and campaign and lead management are key features of the system. But with over one million Salesforce.com users, you need a way to stand out. One of the ways you can do this is by becoming a Salesforce.com Certified Professional. While only 5% of the exam is about marketing administration, 13% is on Analytics and 17% on customization- areas many marketers are very familiar. Salesforce.com also provides a study guide and sample questions to get prepared for the exam. And if you are interested but don’t think you’re ready for the exam you can consider taking the ADM201: Administration Essentials class. This is a 4-day instructor-led class that includes the fee to test for your certification in its cost. In this class you will also learn about skills like workflows and approvals, both of which can be useful for marketers. Regardless of the steps you take to obtain the certification, you will enjoy being able to do more at your current company and be prepared for future opportunities that include use of Salesforce.com.